The company is expecting to have around half the US covered at launch. Mobile televisions have always been a niche product and they've never quite enjoyed the success that it seems they should. After all, watching the shows you want while you're on the go is a very cool prospect. MCV is hoping that its new brand of mobile television services will change that up a bit. The brand, Dyle, and its logo will be showing up on boxes and on technology that boasts MCV's content services. Those services will include partners like NBC, Fox and many others and will be up and running in enough cities to cover half of the country's population. 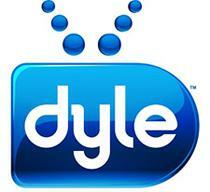 "When a consumer sees the Dyle logo on a box, they will know that the device has the technology required for live mobile TV, on-the-go, wherever they are," says MCV in a statement. Whether it succeeds or simply fails like Flo TV, you can expect a lot of puns in the near future. It's tempting to hope for the worst simply so we can feature the headline "Don't Touch That Dyle!"